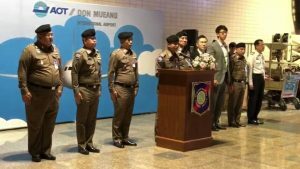 The Thai police went on a massive charm offensive at Don Mueang airport yesterday as they prepared to welcome Chinese tourists during the “Golden Week” that marks the National Day holidays in China. 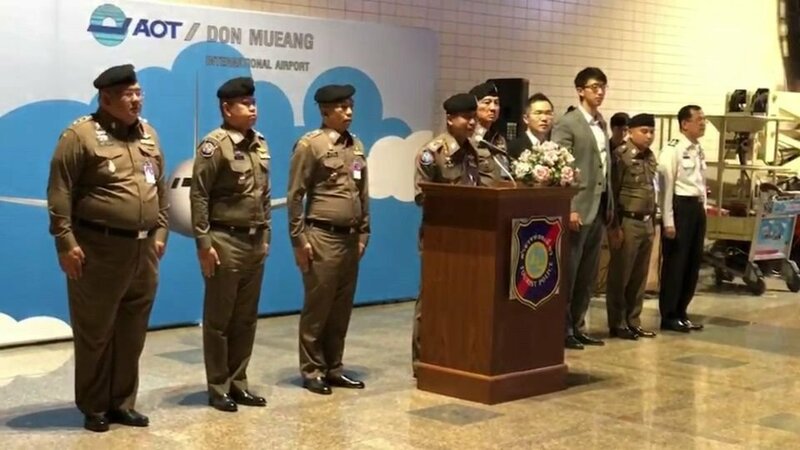 Pol Maj-Gen Surachate Hakpal – in his last job as deputy commander of the tourist police before he takes over as immigration chief today – led a contingent of 147 cops and airport staff. The move comes in the wake of an embarrassing incident for Thailand – the assault of a Chinese tourist at Bangkok’s second largest airport by a security guard that was caught on video. Surachate – known as Big Joke in the media – said all tourists were important, not just the Chinese. But he had to admit they did represent a large proportion of tourist arrivals these days. He promised that the Thais would continue to ensure the security of visitors who could count on Thailand. And in a thinly veiled reference to the assault he said that anyone not doing their job properly would be punished. Many Chinese are on the move this week in the National Day holidays lasting from October 1st to 7th, reported TNA.